At Target Catering Equipment, we love helping independent businesses find cost-effective and efficient solutions to their industrial catering requirements. Recently, we’ve been working with The Oystermen, a leading seafood restaurant in London’s Covent Garden. 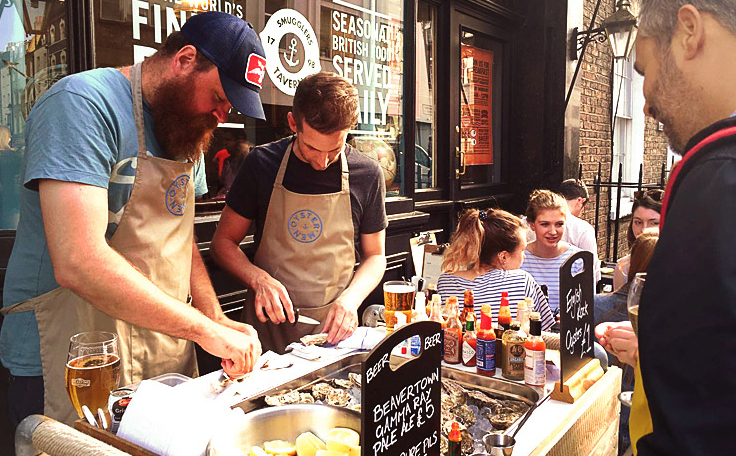 After significantly growing their customer base in 2016, Matt Lovell and Rob Hampton quickly discovered that their seafood street food stall was outgrowing the capacity in which they could prepare and serve their high-quality oysters. Matt and Rob soon expanded into a pop-up concept in South Kensington, before expanding a stage further into a fully-fledged restaurant; The Oystermen - Seafood Bar and Kitchen. Matt and Rob have since developed their offering to feature some of London’s most high-end seafood. The increase in customers soon resulted in the development of the restaurant, during which Matt and Rob acquired the neighbouring premises. The restaurant was closed for five weeks whilst a large-scale refurbishment took place. This re-design involved a complete renovation of the kitchen area - for which, Matt and Rob sought the help of our team at Target Catering Equipment after meeting us at a catering trade show in Birmingham. The team at The Oystermen requested an upgrade to induction technology from gas in order to make cooking for large numbers an easier and more efficient process. In response to the brief we were given, we began to design and build an integrated cooking suite, which included an induction plancha, fryer and SelfCookingCenter XS. We also included in the suite special induction stockpot boiling zones, and a high-level filling tap, both of which are used specifically for the cooking of seafood in large stockpots. The commercial induction range also incorporated a solid top induction hob, suitable for multiple small pan use, and an induction plancha griddle that allows for delicate and direct cooking. The design also included filtration deep fat fryers and specialist fish refrigeration drawers. In addition, a specialist hot and cold pass that featured a heated gantry and pass-through refrigeration was also designed and manufactured. In particular, the induction unit, has allowed the team at The Oystermen to serve guests much more quickly, which has become especially useful in the West End, in which there are a high number of pre-theatre diners. Since installing the new Target bespoke induction suite, the chefs have experienced far fewer burns, and cleaning has become an easier task. Overall energy efficiency has also improved, having both financial and environmental benefits for the company. We’re delighted to announce that we’ve been shortlisted as a finalist in the Family United’s 2019 Family Business of the Year Awards; the aim of which is to champion and celebrate the family business sector. As a result of this, we’ve also been shortlisted in the People’s Choice Awards category. Here at Target, we’re a team of expert designers and engineers who’ve been transforming kitchens for the foodservice industry for over 30 years. We install quality stainless steel catering equipment and specialise in induction cooking equipment. At Target Catering Equipment, we’re a 2nd generation family-run business that was founded by our Managing Director, David Pedrette, and his wife Elizabeth, Financial Director, in 1988. Their two daughters, Charlotte and Nicola, have since become General Manager and Marketing Manager of the business and have been working in the industry for over 10 years. At Target, we’re widely known for our commercial induction ranges, which have been recognised as highly sustainable products by industry body CESA/FCSI and the Carbon Trust. As a result of this, we have been able to assist our clients on being granted thousands of pounds worth of Carbon Trust funding towards sustainable induction cooking equipment. 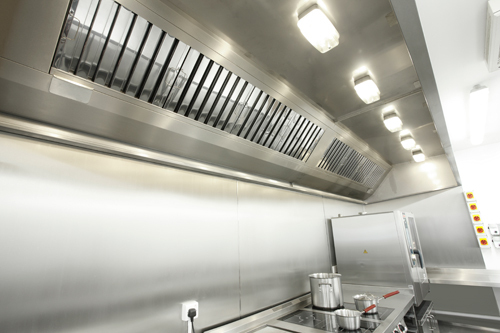 We regularly design complete commercial kitchens, including kitchen ventilation systems - assisting customers with overcoming difficult ventilation and equipment issues - which require compliance with strict planning and DEFRA guidelines. 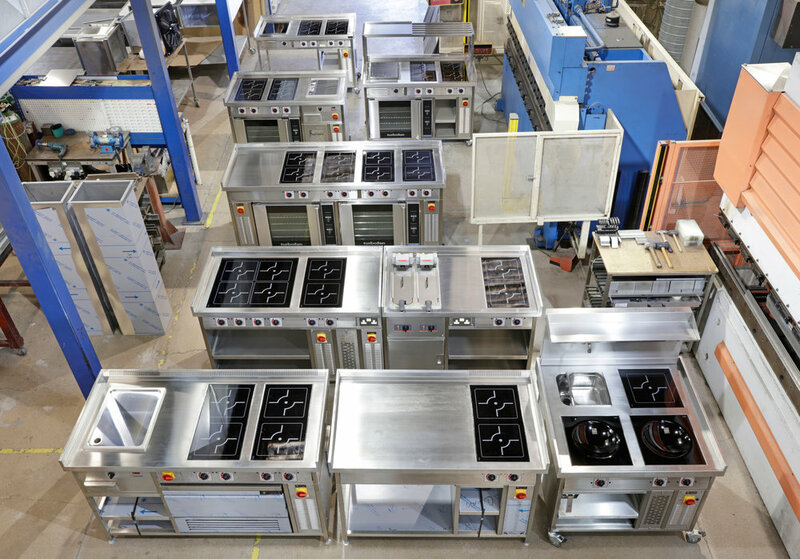 Our wide range of manufactured catering equipment appliances include, to name just a few, bespoke stainless-steel tabling, hot cupboards, extraction systems, induction cooking suites and induction wok ranges. Working together as a team, we assess our client’s commercial kitchen requirements, and deliver commercial kitchen designs to meet all current and future needs. We then manufacture, supply and install our state-of-the-art equipment, ensuring that all aspects of a safe and efficient commercial kitchen are delivered. To view our wide range of products - Please CLICK HERE. Recognising the diversity, strength and depths of family firms across the UK, the People’s Choice Awards seek to highlight the contribution that family firms make to the UK economy. As the only representative of Gloucestershire in both of these prestigious award categories, we’re proud to be a nominee. If you have a spare minute and think Target Catering Equipment is worthy of your vote, please head over to the website and vote for us! Voting for the People’s Choice Award is now open and can be made HERE. The overall winners will be announced at a glitzy awards ceremony at The May Fair Hotel, London, on Thursday, 6th June. The firm, which was founded in 1988 by David Pedrette and his wife Elizabeth, has been producing quality, bespoke catering equipment to the food service industry for over 30 years. David said; “We’re absolutely delighted to have been shortlisted as a finalist in the Family Business of the Year Awards 2019. We’re celebrating turning 31 this year, so it’s a great way to start 2019! Target are widely known for their commercial induction ranges, which have been recognised as highly sustainable products by industry body CESA/FCSI and the Carbon Trust. Because of this, Target has helped to deliver thousands of pounds worth of Carbon Trust grant funding to its clients, which has assisted them in the purchase of equipment. David added; “Having started out as Pedrette Engineering in the late 80’s following a career as a merchant navy engineering officer, it’s been quite the roller-coaster journey, and has been made that extra bit special by having my family by my side throughout. An elite judging panel will pick the overall winners which will be announced at a glitzy awards ceremony at The May Fair Hotel, London, on Thursday, 6th June. Following the success of catering equipment previously manufactured and supplied to Britain’s largest warships, the Ministry of Defence has returned to Gloucestershire based catering equipment manufacturer Target Catering Equipment for their latest marine based project. It all began in the year 2000, when Southampton based marine catering equipment supplier and distributor, Kempsafe, approached Target as they needed to engage a company that could fabricate bespoke stainless-steel items for their marine based projects. With Target Catering Equipment’s Managing Director, David Pedrette, having a background in marine engineering, this made Target the perfect partner for Kempsafe. This led to Target being engaged and becoming involved with many marine projects, which included designing and fabricating bespoke items such as; stainless steel cupboards, counters, tabling, sinks and more. With the ability to provide these services to their customers Kempsafe continued to grow as a company and in 2003 won a prestigious contract with the Ministry of Defence. Confident with the quality of products being produced, Kempsafe commissioned Target to design and manufacture several 8 and 10 dish servery counters suitable for the MOD that would be installed on HMS Invincible and HMS Ark Royal aircraft carriers. The project involved preparing product designs based on site visits to look at previously manufactured units and galley arrangements, gathering all remaining information available from previous manufacturers that had remained on board the ship, which included the original hand-over documentation. Taking this information and combining it with the feedback from the ship’s crew meant that Target could redesign and improve the products they were proposing to meet the exact requirements of the MOD. Designs were prepared, approved and signed off by the MOD. The bespoke products were then manufactured, quality control tested, inspected and delivered to the distributor for installation. Commanding officer of HMS Queen Elizabeth, Captain Jeremy Kyd receives his first meal onboard. Following the success of these initial products, a year later, several 3 and 4 dish servery counters were manufactured and installed for the MOD on the Astute class submarines. And in 2009, Target were again commissioned to design and fabricate various bespoke items including, servery counters, hot cupboards and stowage lockers for what was set to be Britain’s largest and most advanced warships, the HMS Queen Elizabeth and HMS Prince of Wales aircraft carriers. The Great Recession of 2008-2013 then hit UK businesses hard and pushed Kempsafe to engage an alternative equipment manufacturer which offered equipment at a more competitive rate for projects including those for the MOD. However, this was not enough to save the company. In 2016, Kempsafe went into liquidation and the company was wound up. This resulted in one of the former employees setting up a new company, Wathen Marine Catering Equipment Services Ltd. which went on to gain many of the contracts that had previously been awarded to Kempsafe, including MOD contracts. Over the years, the MOD carried out scrupulous trials and testing, and continued issues arose with the equipment that had not been manufactured by Target Catering Equipment and so it was decided that no matter the cost, going forward the MOD were to revert to the previous product quality and specification supplied by Target. In August 2018, Target was commissioned to design and manufacture more 3 and 4 dish servery counters for the MOD to be installed on the new HMS Astute Class submarines being built in Barrow-in-Furness. The challenge was that the units were to be manufactured to the exact design and specification that had previously been tried, tested and approved 15 years ago, to ensure quality was not compromised again through cost engineering a cheaper specification. Target reviewed the current manufacturing techniques to ensure identical consistency of product quality and specification. Relying on historic manufacturing archives and the knowledge of long-standing employees that remained within the company to recall the exact manufacturing procedures and high standards that had previously been used. Target servery counters all set for installation on board HMS Astute submarines. Units have since been designed, approved, manufactured, quality control tested and delivered on time and to the exact specification to the distributor for installation onto the latest, Astute Class Submarine vessels ready to keep the crews of our Royal Navy well fed with piping hot food. “They say an army marches on its stomach, and we are proud to be a British manufacturing company playing our part in keeping the Royal Navy crew fed, happy and well nourished.” Says David Pedrette Managing Director at Target Catering Equipment. A Gloucester-based catering equipment manufacturer was ‘highly commended’ at the prestigious Catering Equipment Suppliers’ Association (CESA) Awards 2018. Target Catering Equipment, which has been producing quality, bespoke catering equipment to the foodservice industry for over 30 years, was highly commended in the ‘Sustainable Catering Equipment Award’ for being a leading British manufacturer of sustainable Carbon Trust accredited catering equipment. The family-run business was praised for its sustainable induction ranges, specifically the TR-E+ induction range, during a glitzy gala dinner at the De Vere Cotswold Water Park on Thursday, November 15th. The TR-E+ model incorporates heavy duty 4 zone induction hob, an induction plancha convection oven which provides ultimate energy efficiency within the commercial kitchen. David Pedrette, managing director at Target Catering Equipment, said “We’re thrilled to have been highly commended in the Sustainable Catering Equipment category at the CESA Awards 2018. Target Catering Equipment has helped to deliver Carbon Trust - Green Business Funding to its clients as a accredited Carbon Trust supplier, and has also assisted customers with overcoming difficult ventilation and equipment issues that have caused contractual problems and require compliance with strict planning and DEFRA guidelines. As a result of investing in CAD software and hardware to deliver complete 3D designs, its design and consultancy services are now being engaged by international companies - specifically China. With eighty years of expertise, CESA is the catering equipment industry’s largest trade organisation, offering privileged access to a wide business network. For more information on Target Catering Equipment Click Here. Here at Target Catering Equipment, we’re delighted to have been shortlisted for two industry awards! The Catering Insight Awards 2018 are recognising businesses that have excelled and overcome challenges to provide commercial kitchens of exceptional standards and quality, and has shortlisted an array of highly successful companies located from the Cotswolds to East Anglia, as well as London. We have been recognised by the awards for the work we’ve done with prestigious companies, including the like of the Royal Navy and Pegasus Life, and are now up for ‘Distributor of the Year’ Award in the South of England category. Additionally, we have been shortlisted for the CESA ‘Sustainable Catering Equipment’ award to be delivered at this year’s CESA Conference 2018, where the theme is ‘Evolving in a Disruptive Environment’. We’re a family-run business and we’re passionate about designing and manufacturing sustainable, environmentally-friendly commercial induction ranges which we then supply to our clients. We’re also recognised as a Carbon Trust accredited supplier, delivering sustainable commercial kitchens, and have assisted our clients in being granted available Carbon Trust funding for such projects. Our commercial induction ranges are designed with cost efficiency, flexibility and environmental ethics in mind. With 90% efficiency rates, minimal maintenance requirements and less air handling needed, our induction suites help foodservice businesses to significantly reduce costly overheads. They can be powered via renewable energy sources, which have both cost and environmental benefits and are supported by environmental funding schemes, improving overall sustainability for businesses. On top of this, we’ve been acknowledged for helping our clients solve issues with ventilation and catering equipment, as well as investing in software and hardware that allows us to carry out 3D designs. Due to this, we are now being engaged by international companies. We’re incredibly proud of our team here at Target Catering Equipment, and have our fingers firmly crossed for award success! To find out more information about our products and services, please click here. Fears of a demise of the Chinese restaurant industry due to lack of chefs has led to the launch of the first fully regulated Chinese-specific catering course in the UK. Backed by the Chinese Culinary Association and Tianjin Food Group, the new Chinese Culinary Arts course, which starts next month, will look to secure the industry's future by producing 'homegrown' Chinese chefs in the UK. The course - a mix of online learning and practical assessments - is aimed at current and aspiring chefs in the catering industry that want to enhance their skills and forge a successful career path in this sector. It is also targeted at restaurant and hotel owners looking to increase their existing dining options as well as saving them upwards of £15,000 to recruit a Chinese chef from the Far East. The current recruitment process for Chinese chefs is time consuming, costly and has to overcome UK government red tape, which prevents the recruitment of chefs for Chinese takeaways - which is the UK's favourite in a £30bn industry. At present, most Chinese chefs are recruited from overseas with owners using recruitment agents to find chefs willing to relocate to the UK. This comes at a considerable expense, which is estimated at £15,000 per chef. This does not take into account the substantial salaries that also have to be paid. As a result of this, many restaurants are feeling the heat and facing the risk of closure because they cannot afford the sums required. This course, the first step, aims to alleviate that by ensuring a stream of Chinese chefs - at a much-reduced cost - trained in the art of Chinese food. It is envisaged this will re-energise the industry as a showcase for Chinese food and provide the stimulus for new business opportunities. With growing new opportunities throughout the world for qualified chefs as well as to staff the many Chinese kitchens of Great Britain; chefs will be trained to the highest standards using the latest cooking technology designed to make kitchens greener more energy efficient, while addressing the health and well-being issues associated with old style traditional kitchens. "This is the way forward for training providers to work with industry from around the world developing a global work force qualified to the highest standards". What is the Chinese Culinary Arts course? The course - which will follow Lu Ban workshop principles http://www.pameducation.com/portfolio/sino/ - has received significant inward investment from China to ensure that it will produce chefs of the future. It is a level three qualification managed by Coventry-based PAM Education and run in conjunction with Chichester College Group and Tianjin 2nd School of Cuisine Food Group. Successful completion will secure a Diploma in Chinese Culinary Arts. Course content is delivered primarily online, including weekly webinars, with practical assessments at Crawley College at the end of each term. "Our work with the Tianjin School of cuisine has escalated from what started as the design of an Education programme into a mission to reintroduce authentic Chinese Culinary Arts across the UK." "Our programme provides budding Chinese chefs and restaurant owners with the opportunitiy to learn skills and gain a regulated qualification recognised world-wide supported by the finest Master Chefs based in China." "Students can complete the learning programmes and practice the skills from the comfort of their own kitchens. We have fantastic support for the National Cuisine Associations of Tianjin and China and we are thrilled to introduce this unique opportunity into the UK." "We are delighted to launch this brand new course, in a unique, on-line learning format." "Part of an exciting new partnership, the project has great potential for students and tutors at Crawley College and in China to learn from each other and to develop new skills." "Working closely with international educational institutions is important to Crawley College and to the Chichester College Group as a whole - we want to see the group develop at home and abroad." The course commences on Monday 24th September 2018. Registration is open now with limited places available. With the UK's Chinese restaurant industry suffering from a severe shortage of skilled staff, the launch of an industry recognised Chinese Culinary Arts (LuBan) Diploma qualification, specialising in Chinese cuisine, culture and culinary arts couldn't have come at a better time. Traditionally, skills and techniques required in the Chinese foodservice industry have been passed down from generation to generation with businesses also being passed down through family members. However, with younger generations now favouring alternative careers, restaurant owners are having to look elsewhere for skilled staff. Combine this need with the UK government's £750 million collaboration agreement to support China's One Belt One Road initiative and the result is the UK's first industry recognised Chinese Culinary Arts (LuBan) Diploma qualification. Developed by PAM Education and Tianjin School of Commerce the Chinese Culinary Arts (LuBan) Level 3 Diploma has been created and approved by British Education qualification awarding body Qualifi. Following multiple visits to various education providers it became apparent that traditional British training kitchens were not equipped towards Asian cuisine and were therefore unable to deliver the requirements of the course. With this in mind, PAM Education and Tianjin School of Commerce approached Target Catering Equipment as specialist commercial kitchen design consultants to prepare a training kitchen layout that would meet their exact needs and requirements. Target, having previously worked with many Asian restaurants in the UK and recently completing a complete kitchen design for a staff canteen in a large leading electrical component factory based in China displayed the knowledge and services that were required to move the project forward to its next stage of implementation. "Working within the foodservice industry for over 30 years, we regularly hear about the lack of skills and training available, specifically in the Asian sector. 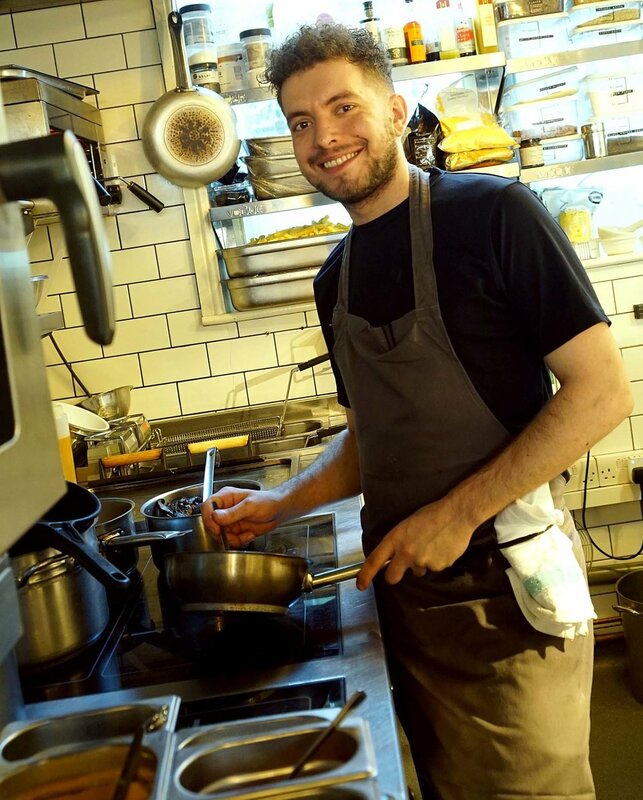 It is great that this is finally being recognised and something is being done about it as it plays a huge part within the entire foodservice industry." Says David Pedrette Managing Director of Target Catering Equipment. Crawley College was selected as the site dedicated to the course, leading the way, offering the UK's first dedicated, industry recognised qualification in Chinese Culinary Arts. The new training kitchen was designed and featured the very latest induction wok ranges as requested by Tianjin School of Commerce, a decision highly supported by designers Target, as the technology is fast being recognised as the future of Chinese and other Asian commercial kitchens. Designs approved, the dedicated kitchen was installed at the college and following an inspection by Tianjin School of Commerce Master Chefs, the facility was given the go-ahead to start offering the much-needed vocational skills training to a unique sector of the international food scene centred around the UK's Asian restaurant sector. With the first course due to start in September 2018 at Crawley College, chefs and individuals either looking to begin a career or expand their knowledge and skill set within the Chinese foodservice industry are invited to enrol and open their career prospects across the world. Target Catering Equipment get local authority Test Valley Borough Council's strict ventilation system conditions discharged for new business's. Having submitted a planning application for 'Change of Use' from Public House to four units with multiple uses of retail, financial services, restaurant/cafe, drinking establishment with residential flats above, Amici Catering & Co Ltd was granted planning consent for The George Hotel, Andover, subject to conditions back in December 2017. One of the conditions restricted the listed building from use as a restaurant/cafe by prohibiting the use of cooking equipment such as ovens, grills, chargrills and deep fat fryers except without the use of an approved internal ventilation system. Ready to move the project forward, Amici Catering & Co contacted Target Catering Equipment as specialist commercial kitchen extraction design consultants to prepare a suitable ventilation system design and specification that would adhere to the planning authorities' requirements. A main concern was that the property required a ventilation system which could withstand the demands of a commercial kitchen whilst remaining within the property. As found with many listed building, conservation and planning officers stipulate that there must be no changes to the external appearance of the building hence this specific condition being applied. Target designed and specified a complete commercial kitchen ventilation system to suit the proposed kitchen layout and equipment specification. As the kitchen was designed with all-electric commercial kitchen equipment, there was no requirement for a high-level exhaust to atmosphere to dispose and disperse the harmful by-products of combustion and an alternative recirculating option could be implemented. The system specified uses patented technology that removes particulates and odours and returns air independently certified as clean. Independent air monitoring specialists, Validair confirms "The air quality from the proposed system is very clean and maintains a level of around ISO Class 7-8 for smaller particles. The larger particles are arrested during cooking periods and for these sizes ISO Class 5-8 is seen. This means that the air returning from the proposed system unit is around a thousand times cleaner than typical atmospheric conditions." By specifying this type of recirculating extraction system Target has made a previously unfeasible location for a commercial kitchen within a listed building, into a completely viable option with the condition being fully discharged by the local planning authorities. British commercial catering equipment manufacturer, Target Catering Equipment, awarded bronze for innovation in industry challenge. After a successful debut in 2017, British manufacturer’s Target Catering Equipment returned to this year’s dedicated catering equipment show ‘Commercial Kitchen’, held at Birmingham NEC, with a stand twice the size to showcase their very latest commercial induction products. Priding themselves on being pioneers in the application of induction technology, Target entered their bespoke induction range into this year’s innovation challenge. Facing a number of market leading brands, Target battled it out on Day 1 to win buyers votes which would result in being put through to Day 2, where they would be in with a chance of winning a coveted Bronze, Silver or Gold award for innovation, following a 90 second pitch to some of the biggest buyers and innovation experts from across the foodservice and hospitality sectors, including; Greene King Kitchen Design and Equipment Manager – Antony Bennett, Star Pubs and Bars Food Strategy and Implementation Manager – Mark Teed and Vision Commercial Kitchens MD – Jack Sharkey, amongst others. After progressing through round 1, Target delivered their pitch, speaking about how their bespoke induction ranges incorporate the very latest cooking technologies to enable customers to have an edge in the intensely competitive food service industry. How induction technology can reduce power requirements and energy consumption and that new computer-controlled induction generators can be programmed with different power levels and monitored for performance and use giving greater control within kitchens. They also talked about how system faults within the induction components can be detected and engineers alerted remotely to diagnose potential faults prior to attending site, helping to minimise disruption in the kitchen during busy service times. And how enhanced efficiency improves reliability and life expectancy of the equipment, is important for management, and goes a long way to help in the running of a successful business. And finally, how each Target bespoke induction range is individually designed and styled to suit the business’s needs and can combine other manufacturers latest cooking equipment therefore delivering the ultimately innovative cookline. Following all the competitors’ pitches, the judges panel decided to award the Target bespoke induction range with a Bronze award for innovation and commented: “It’s great to see companies like Target bringing new products and bespoke solutions to the market”. Target were delighted to be one of the only manufacturers of induction cooking equipment to make it to the final and be awarded a Bronze award for innovation, proving bespoke catering equipment solutions are truly innovative. For more information on any of the products showcased at Commercial Kitchen 2018, or any other products or services provided by Target Catering Equipment, please visit www.targetcatering.co.uk or call +44 (0) 1452 410 447. 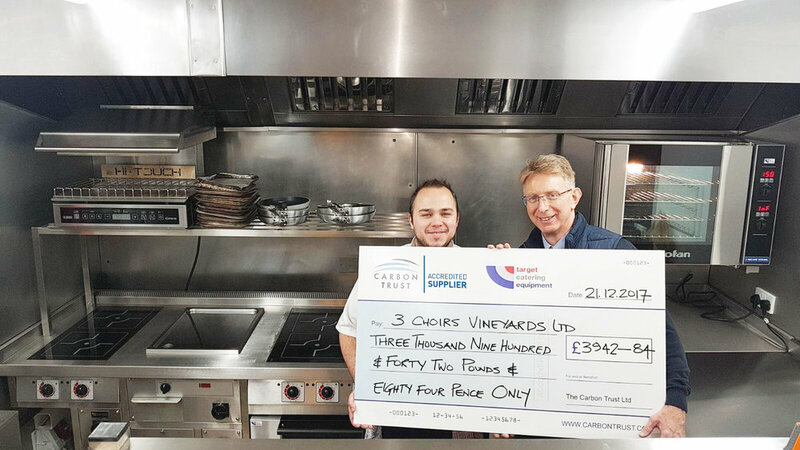 English wine producers, Three Choirs Vineyards, wins over three thousand nine hundred pounds in grant funding by switching to Target commercial induction equipment. Awarded by the Carbon Trust Green Business Fund, for the upgrade of out dated inefficient gas commercial kitchen equipment at their Gloucestershire site to induction, the energy efficient alternative. With the existing kitchen ventilation system struggling to cope with the waste heat being produced by the LPG gas cookline, combined with the rise in utilities costs, the decision was made to convert the current kitchen equipment to the latest energy saving induction technology. Assisted by Target Catering Equipment accredited Carbon Trust suppliers, who completed the detailed energy saving assessment, the Three Choirs Vineyards applied for Green Business Funding for fifteen percent of the project cost up to the value of £5,000. With potential energy saving figures predicted, the Carbon Trust granted the vineyard £3,942.84 towards the new equipment, which included, a bespoke Target commercial induction range complete with induction plancha, induction 4 zone solid top, induction 2 zone hob, twin tank FriFri fryer, Turbofan® convection oven and fast action rise and fall salamander grill. The Three Choirs Vineyard, Gloucestershire now operates an energy efficient kitchen delivering top quality food with award winning wines. Carbon Trust Green Business Funding is limited an available on a first come first serve basis, so don’t delay in getting your application in. It costs nothing, and you could gain up to £5,000 towards the cost of new equipment when replacing in-efficient equipment. Target feel privileged to have worked with three of this year's award winners, The Best Restaurant, Bangkok Canteen, Gloucester; The People's Choice, The Coconut Tree, Cheltenham; and Best Pub/Bar, The Kilcot Inn, Newent, Gloucester. Thumbs up from Head Chef at Tewkesbury Garden Centre as owner Rachel Gallagher receives almost four thousand pounds Green Business Funding from the Carbon Trust to improve the restaurant's kitchen equipment making it more energy efficient and user friendly as the business continues to grow. Famed for using local food produce and suppliers the garden centre restaurant goes from strength to strength, now working with local manufacturer and Carbon Trust accredited supplier Target Catering Equipment to provide the new kitchen equipment. With the help from Target Catering Equipment Rachel was able to submit an application and prove to the Carbon Trust that switching from the existing electric hotplate hobs and basic electric oven to a Target six zone induction range with Blue Seal Turbofan ® convection oven would be more energy efficient and sustainable for the business. This in turn lead to the Green Business Funding capital contribution being awarded. The small kitchen can now keep up with customers' demands, and with a team of dedicated staff, can continue to produce quality local farmhouse food. For more information on the Carbon Trust - Green Business Funding opportunities to reduce energy consumption and costs when upgrading commercial kitchens contact Target Catering Equipment CALL NOW 01452 410 447. Carbon Trust Green Business Funding is limited and available on a first come first serve basis, so don't delay in getting your application in. It costs nothing and you could gain up to £10,000 towards the cost of new equipment when replacing in-efficient equipment. Westbury Village Hall grows with Carbon Trust funding to upgrade condemned kitchen. British commercial catering equipment manufacturer, Target Catering Equipment, is to showcase latest induction products at this year's Commercial Kitchen Show. Having been independently assessed by the Carbon Trust and exceeded criteria designed to examine capability and proven track record of delivering thoughtful, well-designed energy efficient and renewable energy systems, Target Catering Equipment has been awarded accredited supplier status. 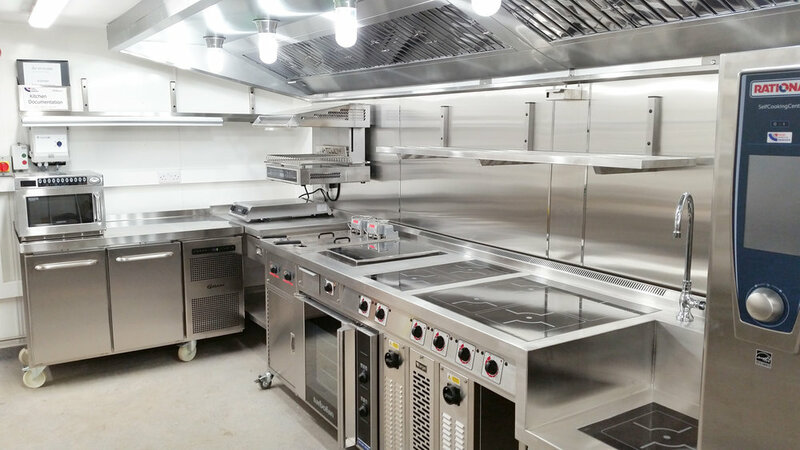 Gloucester-based Target Catering Equipment has redesigned and outfitted a new kitchen for The Angel Inn at Upton Scudamore, Wiltshire. The hotel and restaurant's kitchen was refurbished to reflect and deliver a blend of contemporary and traditional styles, it was therefore decided that the Frima VarioCooking Centre would be the appliance of choice. Target Catering Equipment announced as winners of the Gloucestershire Business Show 2016 award for ‘Innovation in Business’. As trail-blazers within the foodservice industry, Target Catering Equipment have worked tirelessly over the past 8 years to change business owners and chefs’ perceptions of commercial kitchens across the UK, through the development of innovative catering equipment.